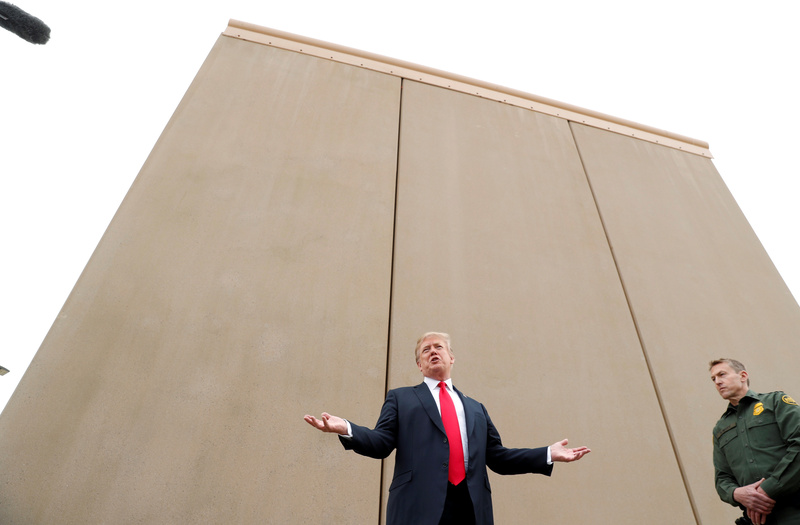 WASHINGTON—Eight House Democrats broke ranks with their leadership Wednesday when they voted against an amendment within disaster supplemental aid legislation that would deny funding for the border wall. One day after Democrats rejected a lunch invitation to meet with President Trump to discuss ways for both sides of the border debate to find a solution to fund the federal government and end the partial shutdown these eight Democrats found themselves parting ways with House Speaker Nancy Pelosi over an amendment proposed by House Rules Chairman Jim McGovern. “His wall won’t work. Period. We’re in the 21st century, and this is a medieval solution,” McGovern said in a statement. Republicans members on the Rules Committee slammed the amendment, Roll Call reported, calling it an “exercise in futility” that hurts bipartisan support for disaster relief in areas places like Puerto Rico and California. At a House Democratic caucus meeting Tuesday Pelosi reportedly told Democrats to stay together when it came to border funding in relation to the government shutdown. “Is anybody surprised that the president is trying to get votes wherever he can get votes? … We are totally united. Totally,” House Majority Leader Steny Hoyer told reporters. Pelosi and Hoyer claimed they saw no issue with rank and file Democrats meeting with the president in an effort to end the shutdown, but predicted their members would become as frustrated with the president as they did. 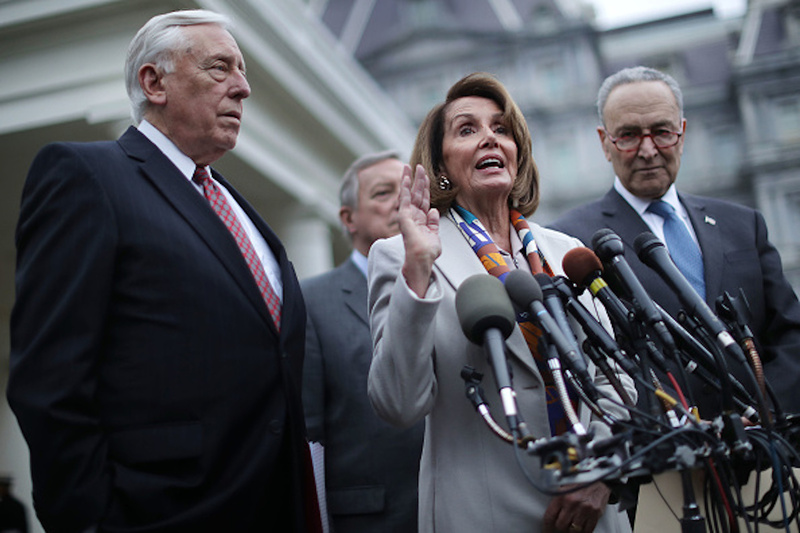 “They can see what we’ve been dealing with,” Pelosi said laughingly to Hoyer. “And they’ll want to make a citizen’s arrest,” USA Today reported.